To oak or not to oak a chardonnay, that is the question! Either way there are strong opinions on both sides. When chardonnay is introduced to oak it will affect the color, aroma, flavors, tannins, texture, and finish. How profound the effects are based on what method is used. The traditional way is the use of oak barrels when fermentation and/or aging are done. This tends to give you a rich, buttery and of course oaky chardonnay. The newer method is the use of stainless steel vats. Some may add oak chips to the vat for subtle oaky qualities. This will give you a light, crisp, and fruity chardonnay. I would encourage you to experience a variety of these to find the style you like. For Mer Soleil Silver Unoaked Chardonnay the grapes were pressed and fermented in both stainless steel and cement vats, with no oak contact or malolactic fermentation. They bottled the wine early in the year and capped it with a twist top to maintain its fresh fruit character and crisp citrus finish. 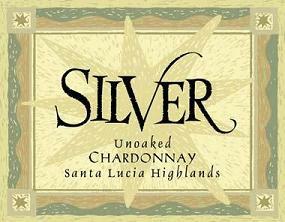 Mer Soleil Silver Unoaked Chardonnay is light gold in color, clean, with aromas of honeydew melon, green apple, and some tropical fruits. This is well balanced with a crisp mineral finish. Overall I enjoyed this very much. Chardonnay is another wine I am newer to (a recovering solo red wine addict) so I will be exploring the grape!